On Sunday 8th April Dr. Jatin Patel, along with friend Gurdip Singh, will take on the Paris Marathon to raise money for Action Homeless. 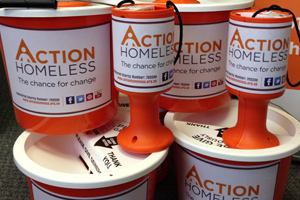 Jatin is aiming to raise £1000 for Action Homeless who provide accommodation and support to people who are experiencing homelessness in Leicester. Money raised will help us to continue providing emergency housing to over 500 individuals and families each year, supporting a range of people from those living on the streets to those who’ve had to flee their home because of domestic violence. Jatin will be one of 57,000 runners, from all over the world, taking part in the annual event which takes participants on a 26 mile route around the French capital passing by famous landmarks including the Arc De Triomph, Notre Dame and the Eiffel Tour. You can support his marathon efforts by making a donation on his online giving page.